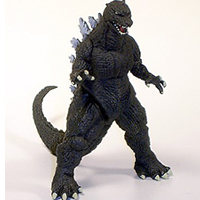 You won't find any other US Godzilla Dealers with THIS ONE! 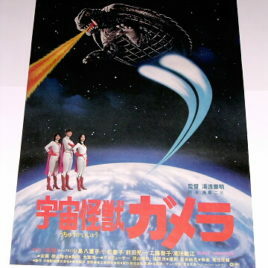 This is the "Special JR Railroad Gamera 3 Expo" Mini Poster. This colorful mini poster was released in 1999 to celebrate the movies opening in Japan. 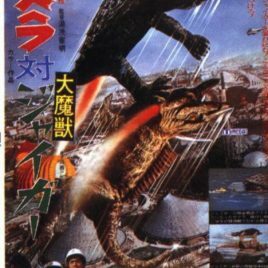 The JR Railroad Station in Kyoto Japan was the site of the Final Batle between Gamera and his Evil Foe Irys. They had a wonderful display of Gamera props, suits and Monsters from the Movie. It was an amazing display! Tom & Diane LOVED IT!! Measures approx. 8 by 12 inches on light paper stock. 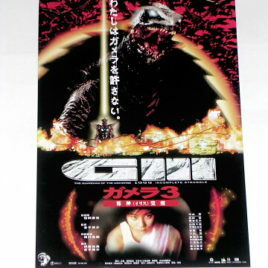 This is the "Gamera 3" Mini Poster. 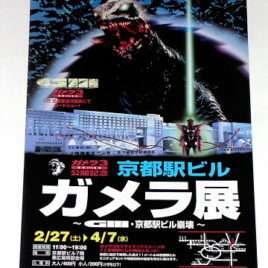 This colorful mini poster was released in 1999 to celebrate the movies opening in Japan. 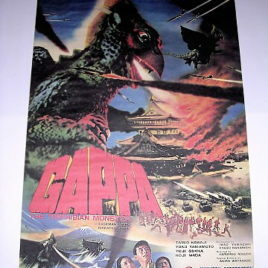 It features Gamera standing in a background of hundreds of angry Hyper Gayos! Measures approx. 7 by 10 inches on light paper stock. This fabulous ORIGINAL RELEASE ONE SHEET Approx. 20 1/2 by 28 1/2 inches. NEAR MINT CONDITION. GAPPA "THE TRIPHIBIAN MONSTER" AKA. "Monster from a Prehistoric Planet" ONE SHEET Approx. 20 1/2 by 28 1/2 inches. VERY HARD TO FIND. NEAR MINT CONDITION! (this is the International version of this poster). 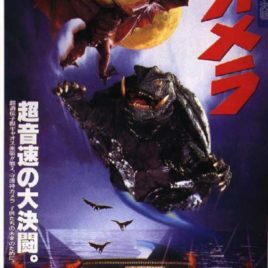 This ORIGINAL RELEASE " B "version of GAMERA Super Monster the Daiei 1980 Gamera movie. ONE SHEET Approx. 20 1/2 by 28 1/2 inches. NEAR MINT! 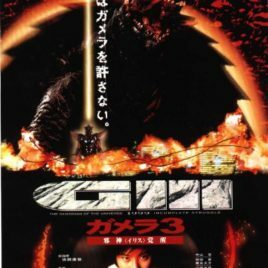 Another now HARD TO FIND poster-this awesome 1999 Gamera 3 Incomplete STRUGGLE 1999 PHOTO STYLE ONE SHEET Original Theatrical Poster. We purchased this poster during our many years of living in Japan. It is Approx. 20 1/2 by 28 1/2 inches. Mint to Near Mint CONDITION!